This week’s Tuesdays on the Run topic is updating our 2015 Goals and it is perfectly timed, both because we’re halfway through the year (already!?!) and because the beginning a new training cycle is the perfect time to reflect on goals so I can make adjustments. Thanks as always to Erika, Patty and April for hosting! Looking back at my running goals for the year, I think I’m actually doing fairly well overall! – Run a half marathon in less than 2:30. I haven’t hit this time goal yet this year in my half marathons, but am really proud of the mental effort I put forth in Lincoln despite the heat. That gives me hope with regards to the Des Moines half marathon in October. The weather will work in my favor there (training in hot weather and running when cooler as opposed to the opposite for Lincoln), as will my familiarity with the course and the miles I’m going to put in for this training cycle. I have no recollection of a fist pump as I crossed that finish line, but I was certainly feeling it so I’m kind of entertained by this picture. 🙂 What more evidence do I need of that strong finishing kick than a pic with the hem of my SparkleSkirt kicked up by my fierce stride? – Run all of a 5K: I haven’t put this race or plan on the schedule yet because I decided to enjoy my Garmin-less break after the Lincoln Half Marathon. Since my sub-2:30 goal got moved to Des Moines, I’ll be half marathon training this summer instead of 5K training. However, I think I’ll still put a 5K on the schedule for sometime in the fall and set my mind to running it all then. I’m incorporating more sustained effort and race pace runs in this training cycle so it should work well in terms of my overall goals to have a good 5K effort sometime in September. It’s kind of amazing that as many races as I’ve run, I’ve only ever entirely RUN one 5K. 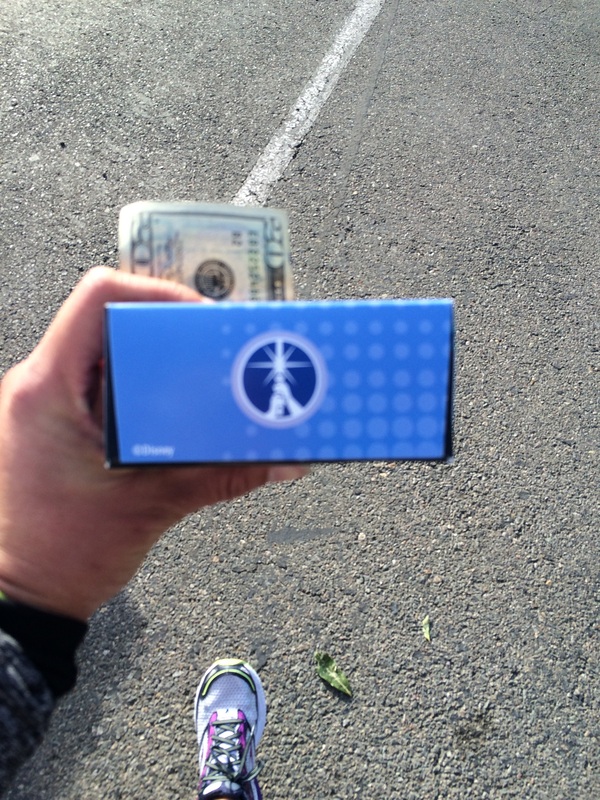 – Race 100 miles this year: This was Darrell’s goal for me, which I told him I was fine with so long as he was okay with all of these race registration fees. I’m knocking this one out of the park, as you can see over on the 100 miles of races tab. I’m at 75.3 miles so far this year (with a couple of races still to add to the tab), with a 10 mile race, 5K and two half marathons still on the schedule so I’ll easily hit 100 miles. – Build a consistent strength and flexibility regimen: With these running goals, I need to stay injury free. That means finding a way to be consistent about strength and flexibility. I’ve been much better so far this year with regular strength training and it really paid off in terms of injury free spring training. Even in the midst of my running break for May and June, I kept up the strength training, which I’m super proud of! I do need to work on the flexibility part, especially with as many miles as I’ll be running with my training plan for Des Moines. All in all, I’m making great progress. I’ve still got the 5K and half marathon goals on the docket, which gives me something to work toward in the dog days of summer. I definitely need motivation to keep my going these days! Beyond the running goals, I’m also doing well with making peace with food and viewing it more as fuel. I just need to keep these goals in mind so I stay on track! How are you doing with your running goals for 2015? It felt good to get back on the wagon this week after being “off” before! It’s sort of nice to get back to the structure of a training plan after my Garmin-less, schedule-less runs for the last couple of months. 🙂 It’s always easier to get moving with a goal. I just finished week one of my new training plan (more on that here and here) and my legs are back to that pleasantly “used” feeling that comes with regularly running (15 miles this week). Monday 3 miles, at around 12:30 pace – I had to remind myself that the first mile always stinks and that training in heat of summer will pay off in spades in the fall! Even with the heat and a sense of trudging along, it felt good to get moving again! Tuesday I did a little HIIT workout with my kettlebell, leaving my pleasantly achy for the rest of the week. Love the combo of cross training and strength work! Thursday 30 minute walk to return our library books: I love when I can take this hilly little walk to the library from the Children’s Hospital during the day for a little break and some sunshine. 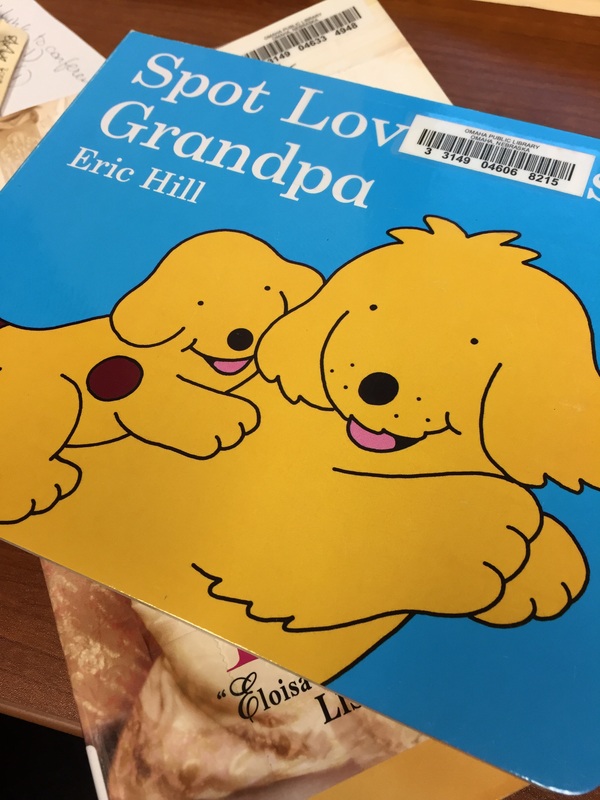 Thank goodness they don’t charge late fees on kids’ books – who knows how long we had this one! Friday 3 miles, with a plan to stick some easy intervals (1 minute run, 30 second walk) to get back to a sense of “work” with the runs. I was pleasantly surprised by the fact that those intervals got me to 11:30-12 minute miles while still feeling easy. A bit of foreshadowing for the rest of my weekend: when I picked O up at school, he was limping and no one knew exactly what had happened beyond a fall on the playground. Saturday This day did not go at all like I planned. When O woke up at 6 am, he was burning up. All day long he had fever up to 102 and limping with no other symptoms. He took a long nap in the afternoon (during which I went out for 3 miserably hot miles and came back telling Darrell that all summer runs would have to be early morning or treadmill for safety!) and woke up feeling well enough that we went out to dinner, but not long after we got home from dinner and the movies he was up again and miserable. 😦 I hate when he’s sick. 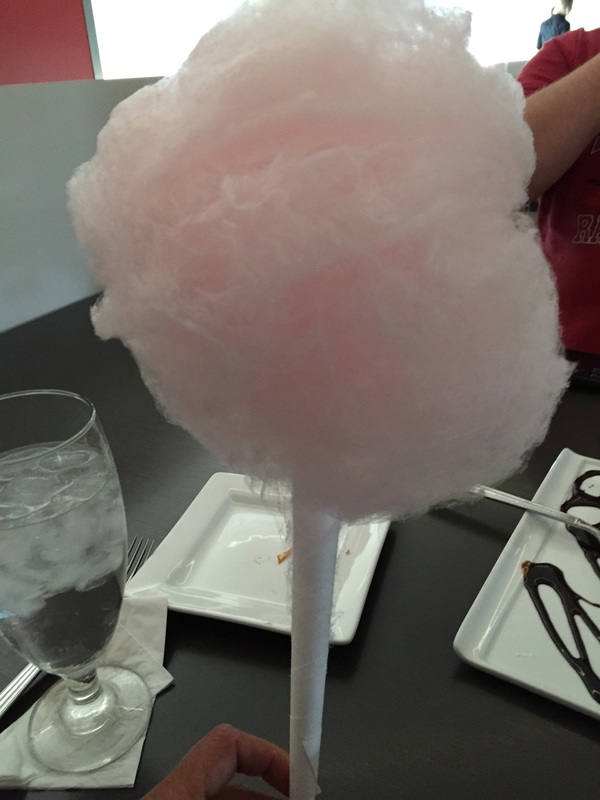 The place we went to dinner Saturday night gave us cotton candy as a “parting gift” – always fun! Sunday I headed out for 3 miles before everyone else woke up and when I got home, O seemed to be feeling okay. I headed out to run a local 5K, to bring my total mileage for the day to 6 miles (more on that 5K later this week) and when I got home, O was unfortunately hot and miserable again. 48 hours of fever and limping meant it was time to bite the bullet and head to the ER. They did labs and x-rays and said it was probably just a virus, so we headed home. It was a truly miserable night. Darrell was out of commission with a headache, O was hot and slightly delirious with his fever and I ended up sleeping on the floor next to him to soothe him all night. I’m too old for sleeping on the floor. These bones ache! Speaking of bones aching, I got called this morning and the x-rays they took in the ER got re-read by the full time radiologists and they aren’t normal. Sigh. Back to orthopedics this afternoon to figure out if it’s just broken or if there’s more going on. Cross your fingers for us! I should probably just throw these out rather than leaving them on the kitchen counter to tempt me. My good deed was paying for a mom’s coffee in the Children’s Hospital on Thursday. I was refilling my coffee before my evening meeting (last week was a LONG week with several evening work things) and the mom in line in front of me didn’t have enough money on her gift card to cover what she’d ordered. I told the guy rather than downsizing it I’d cover the rest of hers. With a kid in the hospital, she has bigger things to worry about that getting a smaller coffee because that’s what she can afford. I’m grateful that even though I’m looking at another cast potentially, it’s still all small stuff and I’m still blessed with a healthy (if accident prone) child. Wish us luck today with orthopedics! Hopefully they’ll say this is just a little break with nothing else to worry about (Mom brain is in overdrive over here thinking of possibilities!) and that we can do a boot rather than a cast this time. PS Sorry for all of the superlong, run-on sentences. Definitely a reflection of several nights of poor sleep, unfortunately and I don’t have the mental oomph to edit them! 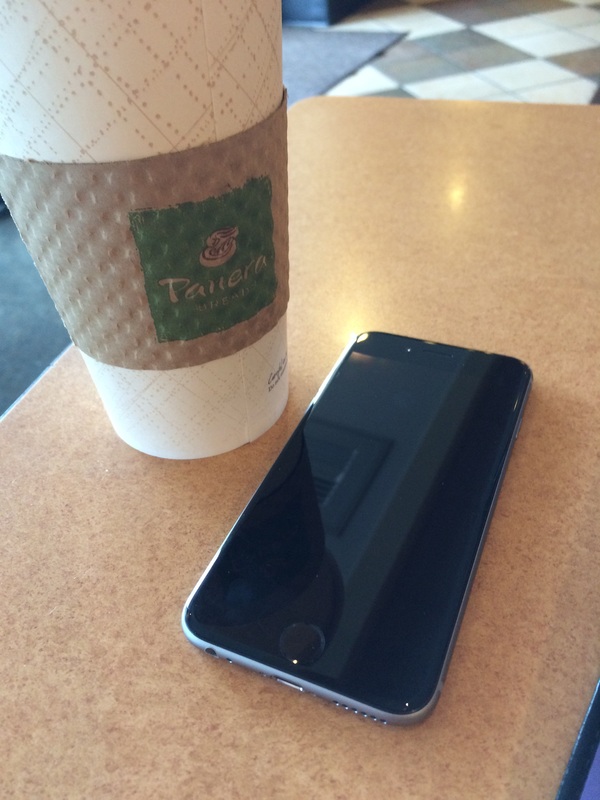 We finally bit the bullet and bought a new iPhone for me. We both hated spending the obscene amount of money to buy one before I was due for an upgrade, but mine was unresponsive to the touch screen for large periods of the day which was more than a little inconvenient! With me about to travel out of the country alone, we decided enough was enough. It’s amazing how we used to live without cell phones, without being constantly available and now we can’t imagine a twenty minute chunk of time we’re unreachable! (Or is that only me?) I wasn’t as worried about always being reachable until I had a husband and a kid and now that is suddenly a much bigger deal, especially if I’m away from them. I’m still not used to holding this one and need a case ASAP because I keep having near misses with drops! After reading this post on Why Our Culture is Obsessed with Thinness, I think I’m going to add this book (Body of Truth) to my summer reading list. I don’t know where the balance lies between health and body weight, but it is definitely dangerous to assume that one is in complete control of the other. It’s an important conversation to keep having in a lot of spheres. I liked the perspective taken by the author in this article, in that she doesn’t want to tell people what to think but rather that this is something you should be thinking about. I enjoy learning about the science and history of these things (especially when there are citations where I can read the actual science! ), so I may be adding to this to my pile of things to read on my flights to/from Italy next month. For more laughs, read this account from Meg of what it is like to try and run with two kids in a stroller – Meg is superwoman for not giving up on this run shortly after it started! This article from Cooking Light has some good tips on building a healthier diet but honestly, when I saw the title: How to Eat Clean in 6 Simple Steps, my first snarky thought was “it doesn’t take 6 steps to wash your produce, wash your hands and avoid foods contaminated with germs like raw dairy” but that’s just my general disdain for the “clean” terminology and the fact that I work in infectious disease. 🙂 Who knows that really means anyway? Despite my teasing of the trendy title, the general tips are good for eating a healthier diet and you should definitely check it out. Anybody have any big plans this weekend? I’ll be doing a local 5K on Sunday (where we were specifically asked to wear the race shirt – a first for me!!) and maybe trying out some of these homemade Lara Bar variations. I’m loving Larabars as a snack post-run or to have when I’m traveling, but they can be pricey so making our own might be fun. I’ll let you know how it goes! I may also end up adding this to my weekend to do list – or at least go ahead and get the Groupon for future weekend usage. I’ve done it once before and it’s an interesting experience! It’s been a while since I’ve done one of these blogger awards and it seems like the perfect little bit of fun to distract us from the onset of the hot days of summer, right? 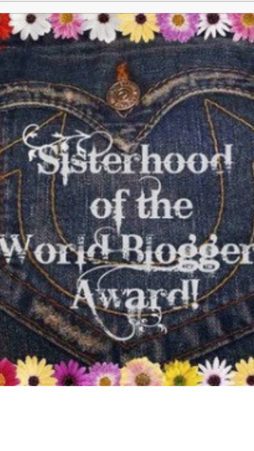 Thanks to the lovely Deborah at TalkingtoMyWeightLossCounselor for nominating me! With this award comes an assignment: answer the questions, and pass this award on to others, so let’s get started. 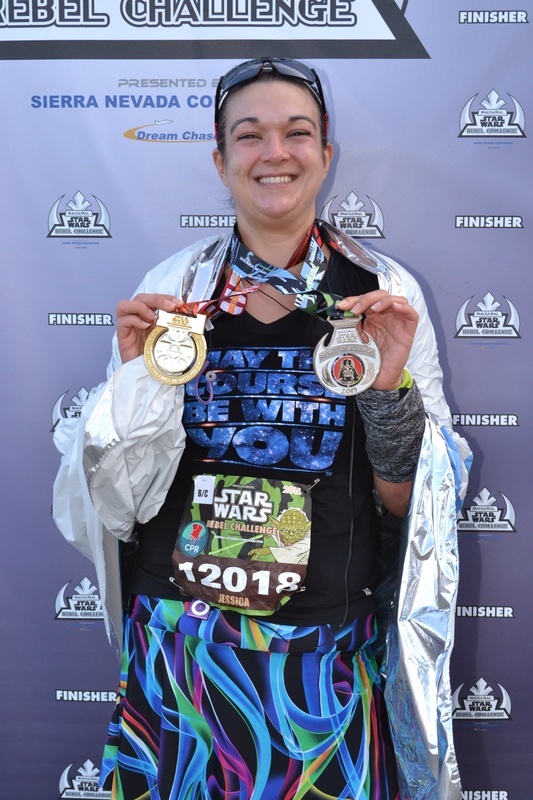 My favorite is still my recap of the Princess Half Marathon (here and here) because every time I re-read them, I am struck again by how happy I look in those pictures and the memories of the enormity of that experience, with proving to myself that I was capable of this huge thing. I re-read it any time I’m feeling discouraged with my running. 3. What, who inspires most of your blog posts? Oliver inspires a lot of my writing, in that I constantly have him in the back of my mind (and sometimes the front of my mind) as a motivation in maintaining my health and fitness, both so I can be there for him and so that I can be a good role model for him. 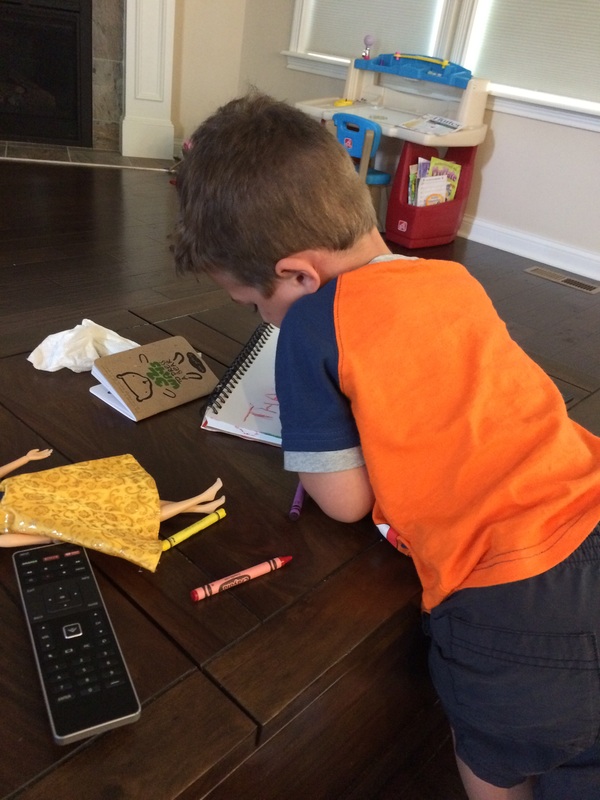 In writing things here, I find myself working through mentally that I want to explain to him and teach to him so that he grows up with a healthier relationship with food and himself than I did (although I know I can’t completely control that). I cannot believe how tall my baby is getting. If I end each week, each month or even just the year feeling like I did my best to live my life in alignment with my priorities (I envision little “islands of personality” like they had in Inside Out for my marriage, my mothering, my career, my health), I will have accomplished all I need this year. InsideOut was fantastic! O thought it was funny and I cried – Pixar is good at striking that balance. I want to learn to make homemade pasta. I’ve had the attachment for my stand mixer for a couple of years now and never used it. 6.What is your most favorite book? Why? That’s like asking someone who their favorite child is! Instead, I’ll say that the books I re-read the most are the Anne of Green Gables series and the David Eddings Sparhawk books (The Elenium, The Tamuli). They are definite comfort reading. 🙂 I love so many different books it’s hard to pick a favorite because they’re all my favorite in different ways. 7. What’s the most courageous thing you have ever done? I struggled a lot with this one because I don’t feel like I’m a person who is called on to be courageous in my life. On deeper reflection, though, I realized being courageous isn’t just facing down literal lions. My most courageous acts were A) stepping out of the car on the first date I went on when I signed up for eHarmony years ago. I’d let my social life and really all of my personal needs fall to the wayside during graduate school and had to make the commitment to myself (difficult with my combo of social anxiety and self-doubt associated with my weight) to make the effort to meet people. Getting out of the car was terrifying! That date wasn’t Darrell, but the next one was so it was totally worth it. 🙂 And B) admitting to Darrell on July 4, 2012 that it was time to do something about my weight. Opening up to him, making him throw away that birthday cake and walking in to Weight Watchers the next day to get help was its own kind of courage. 8. If you could be a superhero, what would be your superpower? Have I outed myself as enough of a geek in this post? 9. Who is your female role model? This one is tough because I have several. Right now, my biggest role models are some of my fellow professional working moms because they offer a lot the skills I need to emulate to make this particular phase of my life work, but honestly, I find role models in so many women because we all have so much to offer and to learn from each other. Except maybe the poor women in Jurassic World. We’re watching it this weekend (yay for date night!) and I’m braced for what I’ve heard are really disappointing depictions of women. I’m going to highlight some of the fantastic blogs from the members of my Lovely Ladies Losing It Facebook group, who I’ve raved about here before. They are a seriously wonderful, fun, supportive, wise group of women and if you don’t already read their blogs, you should! What would your super power be if you could pick one? 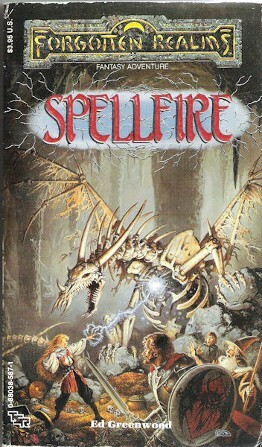 It does entertain me that spellfire has stuck with me for so long since I first read that book in high school (yikes – 20 years ago!) and haven’t read it in at least 7-8 years. Last month, I read Racing Weight by Matt Fitzgerald and as I’m starting my training plan this week, I thought this would be a good time to talk about it as I’ll be incorporating some of these concepts into my eating for the next couple of months. One of the interesting things about this book from the beginning is that it takes the perspective that there is no ideal body weight. There’s the body weight and composition that allows you to have the best performance and that will be different for everyone. The first few chapters go into some interesting science about why performance might be better if you’re carrying around less fat but really keeps the focus on how those things affect your athletic performance rather than how you look or any particular number. As my goal this year is to get a healthier place in my relationship with food, where I’m seeing it as fuel rather than an enemy or something to be controlled, I really appreciated this perspective. That’s definitely the approach I’ve been taking for the last month in terms of making food choices and for the most part, it’s worked well. 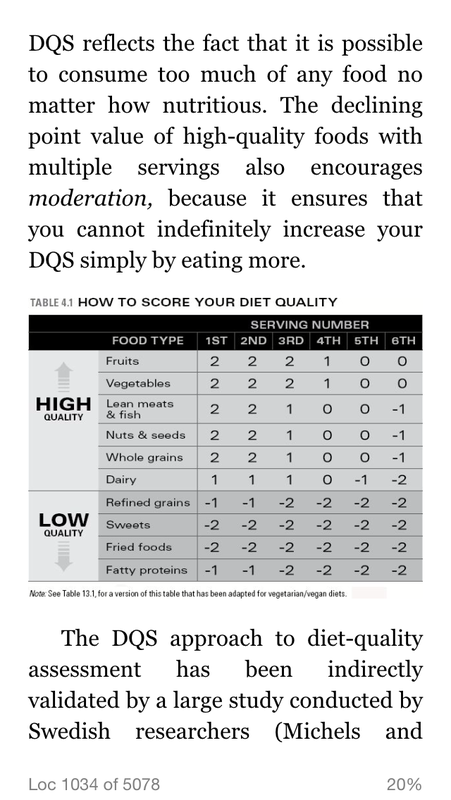 The backbone of Fitzgerald’s approach is something called the Diet Quality Score. As you can see above, you get points for eating the “right” amount of foods that are better fuel for workouts in particular and overall health in general, with negative points for foods that aren’t adding much nutritional value or intriguingly, too many servings of things that are “good” in the right amounts. He specifically calls out carbohydrates as being something that runners need to be sure they are getting enough of, which is important given a lot of trends towards low carb and gluten free perspectives right now. Interestingly, there isn’t a target number for your Diet Quality Score or even the recommendation that you track it every day. Instead, he suggests you check in periodically to see if it is getting higher and how that is correlating with your performance, your body weight, your body fat percentage, etc. As someone who lived and died by my daily points target for years at Weight Watchers, this boggled my mind a bit but I think at this point, I could handle something like this. It also goes back to one of the recurring themes of the book – this isn’t about dieting, it’s about performance. Restriction isn’t the goal here, quality is. It’s also interesting that there’s no mention of “earning” extra food by exercising. Your workouts are what you do because that’s part of your fitness goal, not something you’re tracking to “buy” yourself a cookie. Thank goodness this isn’t intended as a diet book, because this approach definitely would not have worked for me when I was trying to lose 100 pounds. 🙂 The whole idea of self-regulating what you eat (which includes a lot of tips like being intentional in your plan for what and how much you’ll eat, learning to recognize true hunger cues, etc that are covered a lot more effectively in the Beck Diet book in my opinion) may not be effective for people who are interested in weight loss. 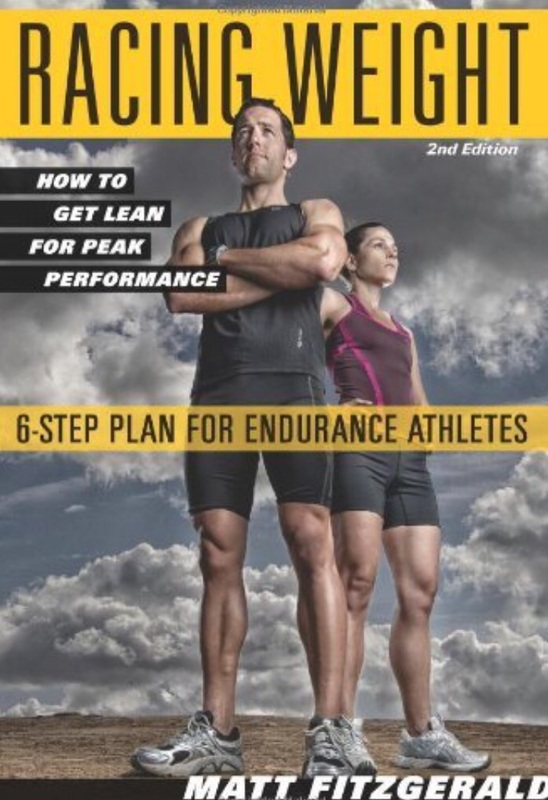 Weight loss may be a benefit of optimal fueling your athletic performance, but if that’s your goal, I don’t know that this would be the book for you. I liked the discussion of the science early on and the fact that he is fairly upfront about things where the science isn’t strong yet. I also liked that he explicitly calls out a little bit of chocolate or wine as good things to include in your daily diet (thus, I added wine to my list of acceptable alternatives to night time snacking) and that the occasional french fry off your kid’s plate won’t kill you. I did sometimes feel like this book wasn’t talking to me, particularly. It did feel like it was targeted more at front of the packers in a lot of places, but that may have been my own projection onto the material. It also doesn’t give you a whole lot of concrete guidance for what to do, but there are companion cookbooks and things you could get as well. There are sample daily menus included, which are interesting, but because they come from elite athletes, I had a hard time seeing how they would apply to me. That’s a common complaint in the Amazon reviews as well. c) eating good stuff doesn’t mean eating ALL THE THINGS – even healthy foods need to occur in moderation. A lot of these concepts were part of the Weight Watchers Simply Filling plan too, where you just ate good stuff. I didn’t feel like I was particularly good at the self-regulating volume part last time I tried Simply Filling. We’ll see if I do better with the “eat good stuff” model this time around. 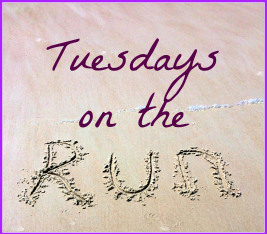 This week’s Tuesdays on the Run topic is running challenge races and as I’ve got my eye on running a 5K and half marathon within the same 24 hour period in November (!! ), this is definitely something that’s already on my mind. Thanks as always to April, Patty and Erika for hosting! My experience in running back to back challenge races was with the fantastic Rebel Challenge in January 2015 (recaps here and here). It was a great experience and new kind of challenge for me just to complete 19.3 miles in such a short time frame. As someone who isn’t inherently speedy and probably isn’t going to set the world on fire with my PRs, these new race distances and challenges are a fun kind of goal to pursue. I trained specifically for the back to back runs of the Rebel Challenge last winter, with back to back training runs as part of my plan (more on that plan here). I would definitely recommend that approach for a couple of reasons if you’re thinking about your own back-to-back race challenge. – It lets your body and legs get used to the actual distances with less recovery time. – It lets you practice the fueling and recovery tricks you’ll need to be in good shape for that second race (or to be able to walk after the second race is over!). That second bit is the thing I found most valuable. I had to consciously think about recovery, in terms of fueling, hydrating, resting, compression and foam rolling in ways I don’t normally worry about when I’m just training for a half marathon. In November, I’ll be doing the Jingle Jungle 5K at Disney World on Saturday morning, heading over to cheer for Oliver in the kids races and then resting up for the Wine & Dine Half Marathon that starts around 10 o’clock that night. I can’t even imagine running a half marathon overnight, much less running one when I’ve already done a 5K in the morning. The other factor that complicates this a bit is that it will occur about 3 weeks after I’ve run the Des Moines, my fall goal half marathon. My training this summer/fall is definitely going to be focused on optimizing my Des Moines race rather than training specifically for the Wine & Dine weekend like I did for Star Wars weekend. I think it will be okay because it’s Disney – I don’t have a time goal – and it’s just a 5K in the morning. My plans for that race weekend? – Get in a couple of evening runs in the three weeks between Des Moines and Wine & Dine weekend, even if they’re only 6-8 miles. 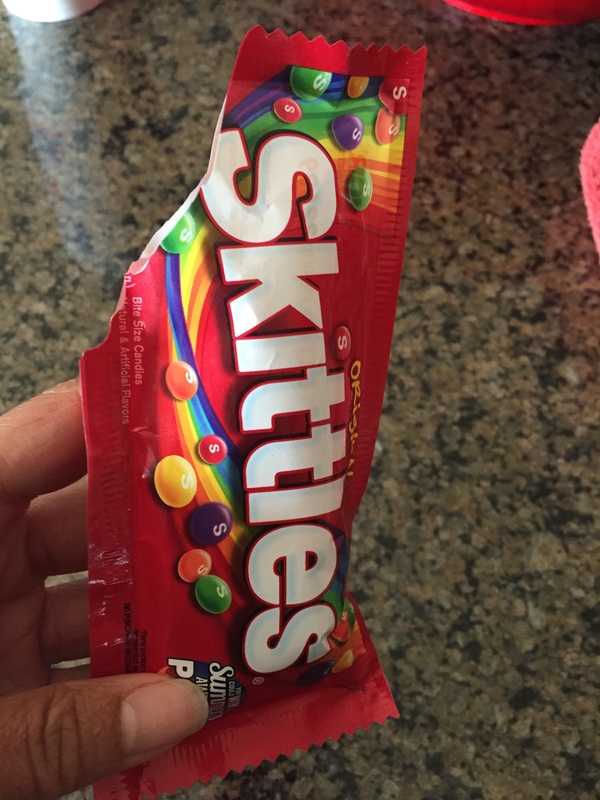 That will give me a chance to practice fueling before the run, which is my biggest concern. – For at least one of those weekends between the two races, do a slow run/walk Saturday morning of a couple of miles and then 6-8 miles at night to simulate the experience a bit. – Immediately after the 5K, have a substantial snack with carbs and protein while I’m heading over for Oliver’s race. Given the RunDisney post race boxes, I’ll probably be bringing a Larabar and something else in my bag check bag to supplement things. – After cheering for O, we’ll go have lunch together and that will be my big meal of the day, with a focus on easily digestible carbs. – Darrell and Oliver are going to head out to the parks to play and I’m heading back to the Polynesian to rest. Even if I don’t nap, I plan on staying off my feet, hydrating and relaxing. I definitely walked way too much between the 10K and half marathon in Disneyland but in my defense it was my first trip to DL! It’ll be hard to miss out on the fun Darrell & Oliver will be having without me, but I know it will make that overnight half marathon a lot easier. 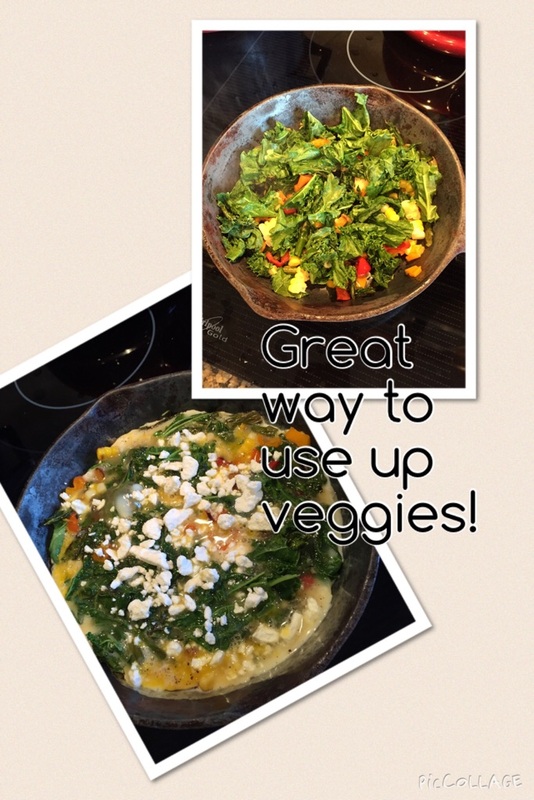 Be sure to check out the rest of the link up for more tips! Have you ever done a back to back race challenge? – Running back to back races: How did it go? This week started out with travel delays and ended up with lots of poorly controlled grazing (no binges, per se, just lots of putting things in my mouth I didn’t need!) so I am looking at today as a total reset. It’s rare, but sometimes you really do look forward to Monday. 🙂 Having Monday & Tuesday taken over by travel needs after our flights got delayed was a legitimate wrench in my workout plans and I consciously made the choice NOT to run Saturday and Sunday mornings so that Darrell could sleep in for Father’s Day. The problem is that it was too hot in the afternoons to run and thus, I ended up with a week where I only ran once! I wasn’t a total slug – I did get steps in Saturday and Sunday – but I admit that I didn’t work as hard as I could have to get a run in (I have a gym membership with air conditioned treadmills so I have no real excuse!). 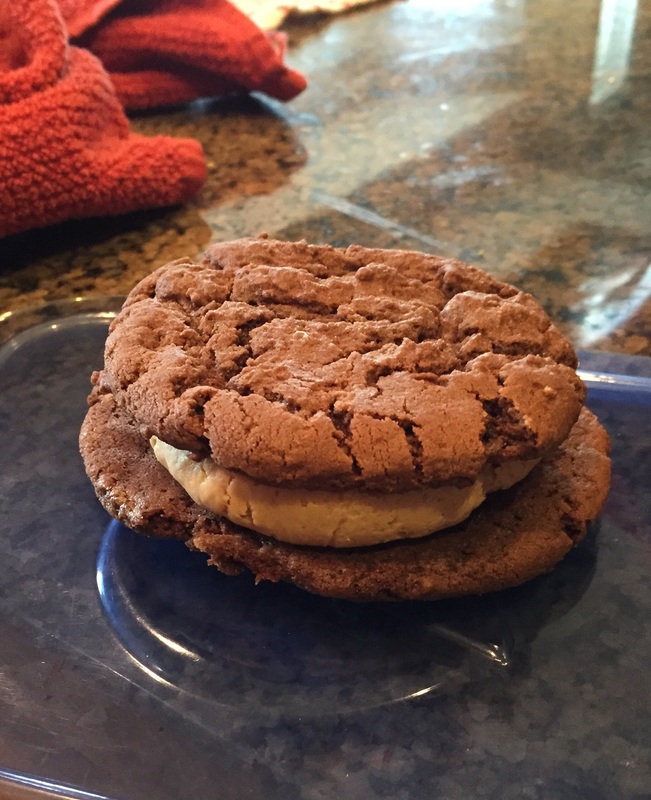 I think that lackadaisical attitude about running bled over into my eating for the weekend, where I found myself taking lots of little tastes here and there of things I don’t normally eat, like pizza or the AWESOME (and worth it) cookies I made Darrell for Father’s Day. b) I’ve prepped for healthy dinners all week and c) I’ve put my workouts for the week on my calendar. I actually am going to go ahead and start my training plan for the Des Moines half marathon a week earlier than I’d originally planned (ie today). It’ll help me get my rear in gear and will give me a week of buffer for the time that Darrell is gone, just in case I have a hard time running then. Monday 45 minutes of holding a sleeping 40 lb kid has to count as a workout right? O fell asleep in my arms while I was in line waiting for American to get my flights sorted out. I was standing there forever with him sleeping on my shoulder. My arms were killed! We also got in 20-30 minutes of a walk back and forth to the playground once we got back to my friend’s house. Tuesday Nada – just grateful to make it home! Thursday Finally hauled myself out onto the road to run a couple of miles – my only miles for the week! 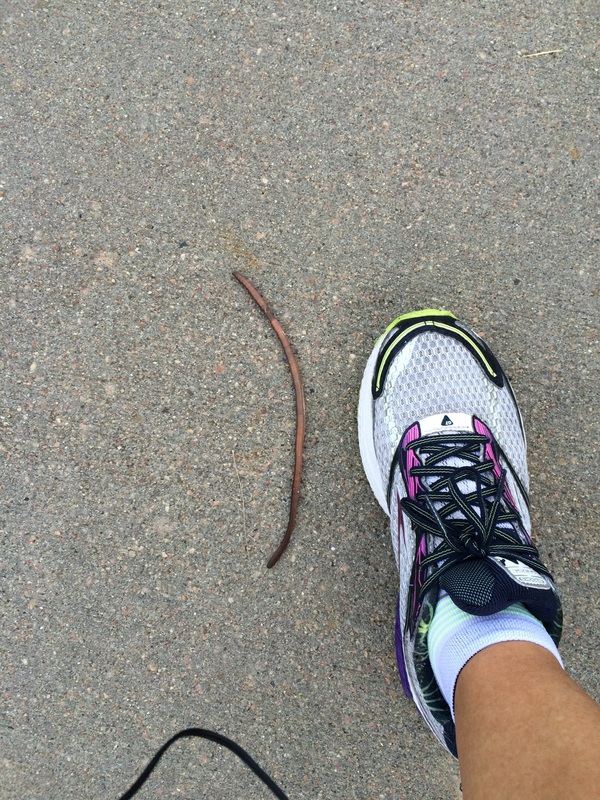 Check out the size of this earthworm I saw on my run! Monster!! Saturday 20 bridges and 30 minutes of walking – I thought about going out for a run during O’s nap but it was way too hot! Sunday Nada again, but I did get a lot of steps in. Importantly, by evening, I felt like I had a plan for getting back on track today. 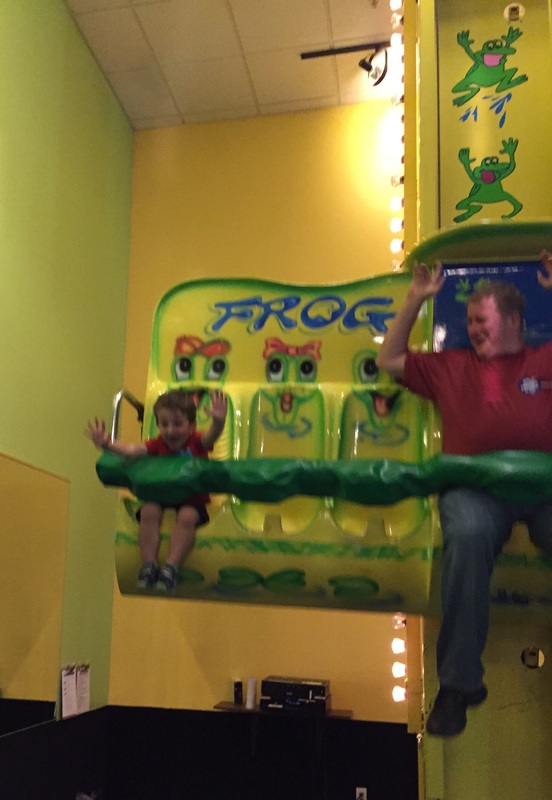 We went to an indoor play place with some rides – O and Darrell had a blast! To put a positive on spin on this workout-light week, my NSV is respecting my need to rest. I’m tired. I didn’t sleep as well as I should have while O and I were in Indiana and I’m proud of myself for letting myself rest a bit this week, secure in the knowledge that I’ll get going again. This week, I’m grateful for everyone else’s good deeds. Honestly, while I’d hope I did something nice this week that I’m just not recalling in the moment, I am so struck by the many kindnesses we experienced on Monday with our travel delays. When we got to the front of the long line at American, another traveler let us go ahead of him since I had O with me, which was lovely. I confess, I bribed O with a bag of popcorn if he’d cooperate while I dealt with the guy at the flight counter (Carl at the Indianapolis American counter, you were so kind in a stressful day!). When I bought the popcorn, I mentioned to the saleslady that our flight was delayed and happily O hadn’t quite figured out yet that he wasn’t going home. She let him take another bag of popcorn on the house and asked me if I wanted any as well. 🙂 Very sweet. When we got the rental car counter, they upgraded us at no charge into a car that it would be easier to install my car seat into. Truly, humanity can be really kind. As this posts, I am hereby promising you and me that I’m out running to officially kick off my training plan. 🙂 How do you reset after a weekend when things start to slide? This week has been all discombobulated thanks to our travel delays! Having a stressful start to the week just got us all out of our routine. We forgot Oliver’s backpack on Wednesday, meaning Darrell was late to work, and then we nearly forgot water day yesterday and had to rush back to get him dressed appropriately for that. I forgot the power cord for my laptop today and am debating heading home to get it or making due with the desktop today (I think I’ll be okay). 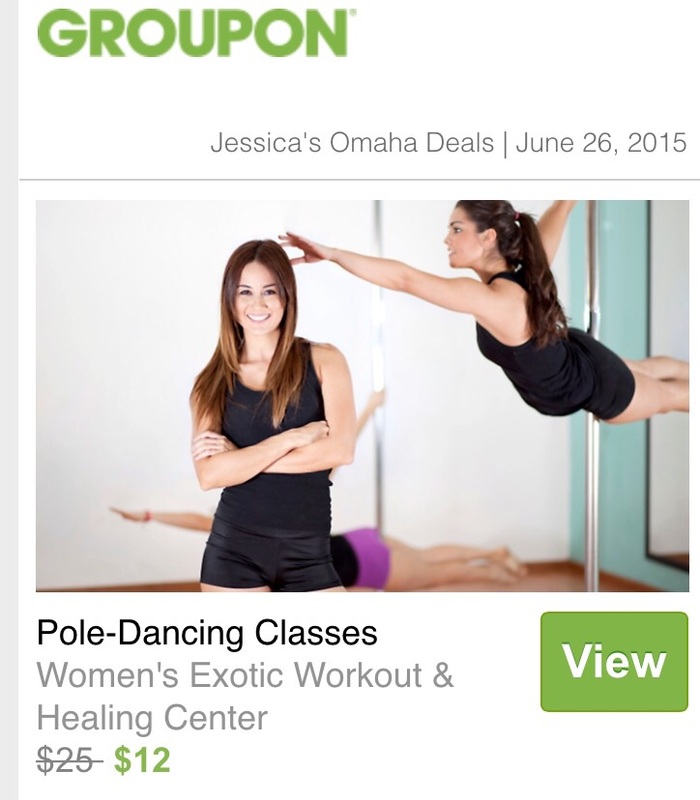 Needless to say, I haven’t gotten much done on the workout front this week or in housekeeping or anything else. I’m sort of glad it’s already Friday and we have a weekend to reset. 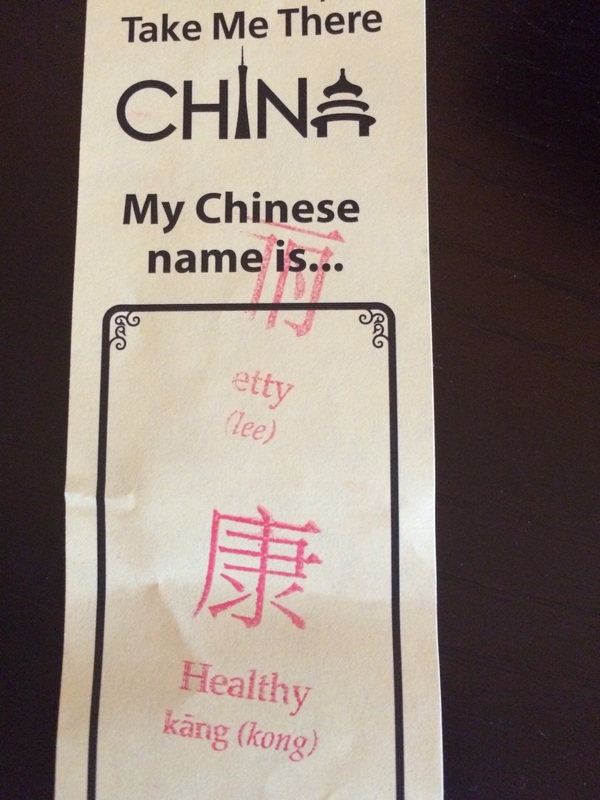 Can I say how much it warmed my heart to have O pick “Pretty” and “Healthy” as the characters he wanted on my bookmark at the Children’s Museum in Indianapolis? I’ve recently discovered a new-to-me blog, Love Yourself Healthy, written by the lovely Christina. Christina is a fellow recovering binge eater in addition to being an all-around fabulous person and her post “On Mindfulness” last week was EXACTLY what I needed to read. I’m in one of those up-swings of professional stress (those come more often the more I “succeed” – Grrr) and finding it hard to stay centered, especially with the travel crazies this week. I’ve re-read this post over and over. If you need a reminder of how to get grounded and how powerful it can be, I highly encourage you to check this out. If what you need today is a race recap with an awesome swag bag (bottle of wine! ), an adorable Mountie and gorgeous scenery, check out Katie’s recap of her Niagara Half Marathon. 🙂 I’m kind of tickled that she didn’t know what a Mountie was – growing up watching Dudley Do-Right, including the horrible Brendan Fraser live action version, definitely shaped my education about Canada. For another smile, absolutely check out the story over on NPR about the lost stuffed tiger. As someone who still LOVES Calvin and Hobbes, this just warmed my heart in all kinds of ways. The last smile I’ll share with you on this lovely Friday is this essay from the lovely Adrienne Martini: What Morning Runs Are Really Like for Moms. Not only does it ring hilariously true for any mom or busy woman (or man maybe? ), it includes the perfect shout out to Harry Potter, which makes me love Adrienne even more than I already did thanks to her regular column at Another Mother Runner. She’s absolutely right! Running can be just like a pensieve, which is why I love running alone. This essay is from the fabulous Tales from Another Mother Runner, which I reviewed here last month. Definitely check out the whole collection of essays! I hope everyone has a glorious weekend and that all of you currently soaked thanks to the flooding and rain pummeling parts of the country get the chance to dry out a bit. 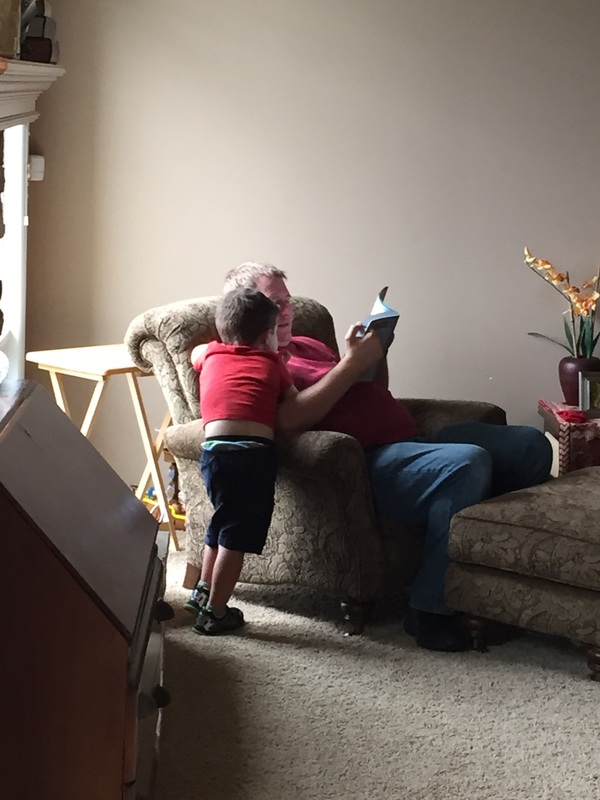 We’ll be celebrating Father’s Day by making some of Darrell’s favorite foods (chili mac tonight – my first time tackling this, steak tomorrow and jambalaya Sunday) plus letting him sleep in a bit both days if we can. 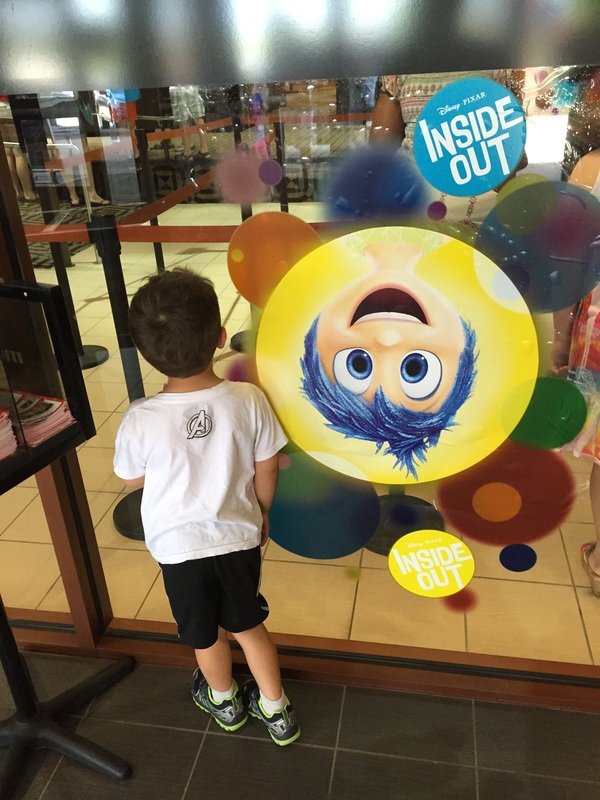 We’re also going to see Inside Out, which Darrell & I are possibly more excited about than Oliver. Happy Friday everyone! My little vacation from training is coming to an end, with training for the Des Moines Half Marathon set to start next month. I can hardly believe that it will be my 6th half marathon! Do you have any idea how crazy that is to me? Nuts. Anyway, at this point in my running career, I actually have some experience to look back on when I’m trying to decide on a training plan. For my first half marathon, I used a Hal Higdon plan (more on that here) and highly recommend it for your first race of any distance really. It was easy to follow and hit the biggest thing I needed the first time around – learning to cover the miles. 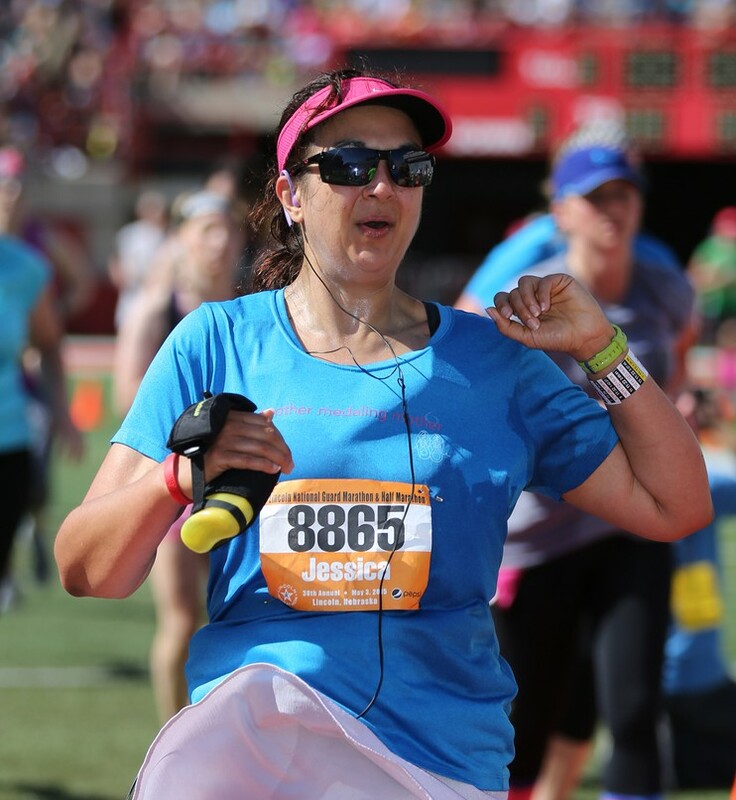 For my second half marathon, the Des Moines Half Marathon in 2014, I used an Another Mother Runner plan that incorporated more miles (more on that one here) and then transitioned into an easy plan for the back to back training for the Rebel Challenge. For the Lincoln Half Marathon, I used a different Another Mother Runner plan that included hill work, tempo runs and speed work in ways I’d never done before. Every time I’ve trained, I stepped up the intensity of the training bit by bit and feel like every time, I’ve come out of the training as a stronger runner, no matter my race time. 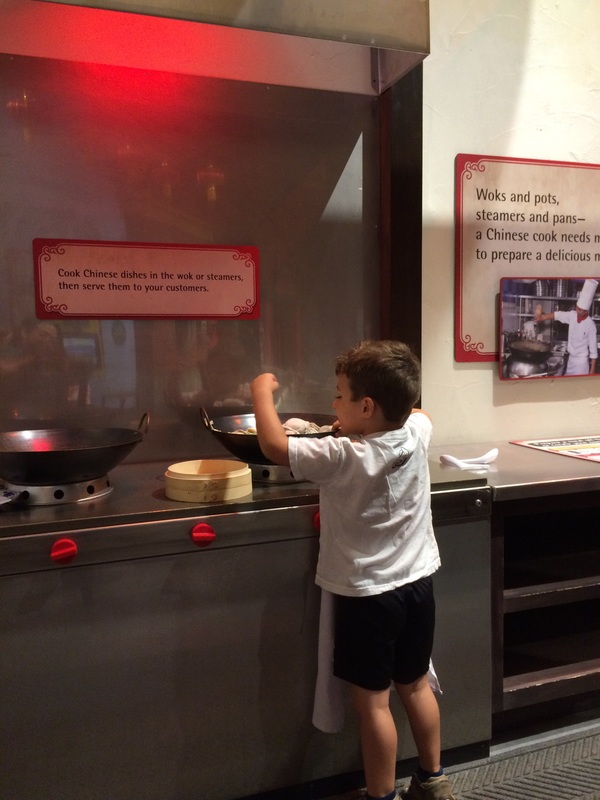 Yet another random Oliver picture from the weekend: He loves pretending to cook (and helping with actual cooking) and I had to drag him out of the pretend Chinese restaurant in the Children’s Museum in Indianapolis. I’ll be starting my training next month and will be using a sort of a modified version of the Hanson’s Method plan. 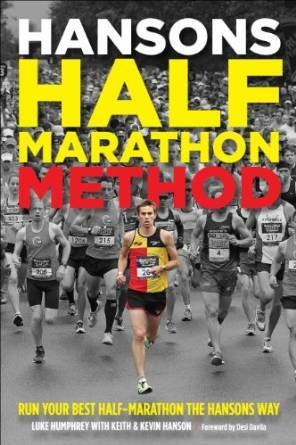 Last month, one of my goals was to finish reading the Hanson’s Half Marathon Method book and I highly recommend it if you want to learn more about the hows and whys of training. It discusses the purposes of the various kinds of training runs, like tempo runs and speed work and hill work, and the phases of a training plan that get you ready for race day. I really enjoyed learning about the science of training. I’ll be incorporating a lot of those concepts, in terms of a base phase, a speed phase, a strength phase and a taper phase, into my new training plan (which I’ll update on the training page this weekend). The book also talks a lot about cumulative fatigue and that the way to be a better/stronger runner is to run more miles. The more miles you run each week, the better your body adapts to it and the better your muscles are at handling doing the hard work at the end of a race. The Hanson training plans specifically recommend running 6 days a week, rather than swapping out 2-3 of those runs for cross training like most of the other training plans I’ve used in the past. I was on board with that idea, because I tend to stay fairly injury free outside of my own clumsiness (knock on wood) and because I know I tend to take it easy on cross training, which probably doesn’t add much to my training. I also liked the idea of cumulative fatigue because I definitely tend to struggle in the last 5K of a half marathon and particularly know that’ll be an issue in Des Moines because that is where the course got a little narrow for me last year. I was on board with all of that until I saw the kind of mileage his training plans included – more miles in week one than I ran in peak weeks of any prior training plan. Yikes! That seems like a recipe for injury, trying to jump things up that much for this little working mama (not to mention the impossibility of finding time for that kind of mileage when you’re a working mom who runs 11-12 minute miles on a good day). Thus, I will not be following the Hanson plan exactly. Instead, I’ll incorporate some of those principles into my new plan. I’m looking at 16-17 weeks of training, because I know there are 2-3 weeks where I’ll be traveling or working and won’t be able to train normally (I just repeat the week before/after that in the training plan during those weeks and do as much as I can). I’ll spend the first 4 weeks rebuilding my base, with 5-6 days of running but nothing fancy. Then I’ll progress to the “speed” phase, with 6 days of running a week including 1 long run, 1 speed workout and 1 tempo run. I felt like the tempo runs did a lot for my mental stamina in my Lincoln training and this time around, I’d like to work on doing those on the road instead of just the treadmill so I learn to self-regulate my pace a bit better. The last section before the taper with be the “strength” phase, with longer intervals of sustained paces, longer tempo runs and again 6 days of running a week. Importantly, I’m planning on doing two 11 and two 12 mile runs this time, because I really consistently struggle in those last few miles. I’m also going to incorporate more “race pace” simulations so I can train my body to know what it feels like and to know that it can in fact sustain my target “race pace.” I’m going to run more miles all around, with the last “strength” phase at around 30 miles each week, which is more than I’ve done before. With a gradual increase, my body should be able to handle this but I’ll definitely be paying attention to how I’m feeling as well as continuing my strength training, yoga and foam rolling. How do you decide on a training plan for a new race? How do you account for weeks that you know are going to be rough in terms of getting the training in? This week, I thought I’d update you all on how my little break from tracking is going (more on why I took a break here). In short, it’s going really well (knock on wood!). My weight really hasn’t changed (175.8 this AM, where I’ve been hanging for a couple of months) despite not tracking for several weeks now. I’m really enjoying the thought process of choosing the healthiest food, instead of just the lowest calorie food, during this time and gratified to see that it isn’t resulting in a change in the scale or in how my clothes are fitting. Thinking about that got me thinking about all of the other little victories I’ve been noticing lately and as I love a good round up of non-scale victories, I thought we’d do that today. 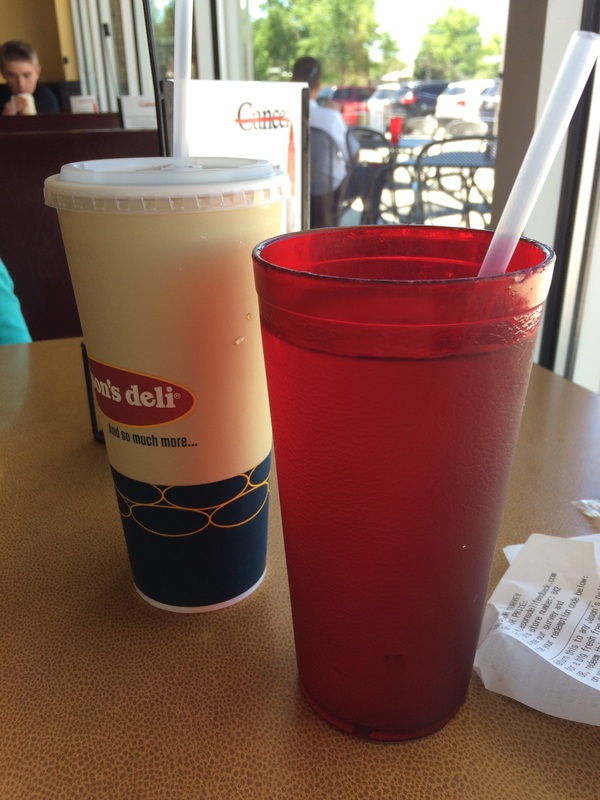 – I’m still focusing on drinking more water, so when I was tired from all the travel yesterday and really wanted a Diet Dr Pepper at Jason’s Deli, I made myself get a glass of water too. – Speaking of Jason’s Deli, what I was really craving was some kind of sandwich. I looked at the menu options, the calorie counts and the ingredients and chose the Mediterranean Wrap, which had turkey, hummus and lots of veggies and it was SO good. Much more satisfying than a salad would have been and still a reasonably healthy choice. – I didn’t let my food issues get in the way of a) being a good houseguest and b) having a good time this weekend. I’m all for taking care of your own food needs when you travel, whether it is speaking up about your preferences/requirements or bringing your own food, but since I was also bringing a kid I felt like imposing my child on their household was disruption enough; no need to add a bunch of food requests too. 🙂 I just made the healthiest choices I could when we were eating out, including eating only half the bun anywhere I had a sandwich and adding salad or veggies where I could. When we got stuck an extra night, I used that time to stop at the store to get stuff for a salad to go along with the pizza I knew we’d be having for dinner. It was so good and with a plate half full of salad, I was able to feel satisfied with just a little pizza. Of course, I also had several glasses of wine each night while we chatted. 🙂 I just balanced that by not having desserts. In short, I sort of ate like a normal person for a weekend. I’ve been pretending to be normal about food for a few weeks now and it is actually working! – I already told you guys this one, but it is definitely worth mentioning again: holy cow my arms! Not only can I do full push ups now; I can also lift Oliver up over my head to settle him on my shoulders! Rock star! Not a NSV, but definitely a mom victory: O insisted on writing a thank you note for our friends when we visited! – I’m doing really well with my goal of not snacking at night! It gets easier and easier every day. There was one day when I was truly hungry and snacked on some lima beans (odd I know but the only veggie I had readily available) but otherwise, I’ve been able to recognize that I wasn’t actually hungry and distract myself. – Math NSV: I checked my body fat percentage for the first time in ages after reading the Racing Weight book (more on that coming up) and my body fat is still 28%, within the average range for a woman my age. The really cool part about that is that it means that of the 12-ish pounds I’m up from my lowest weight of 163-164, only 3 pounds is fat. The other 9ish pounds is muscle and other good stuff. Yay, right? I can tell this in my clothes too, in that the place my pants feel tight (for the most part) is in my thighs. All of that strength training shifted things a bit. Of course, there is some tightness in the waistband in some skirts/pants if I’m being totally honest, but mostly we’re good and looking on the bright side! What are your non-scale victories today? It’s so important, especially if your weight loss is slowing down despite good “inputs” or in maintenance, to take notice of all of the little things that show how your hard work is paying off!